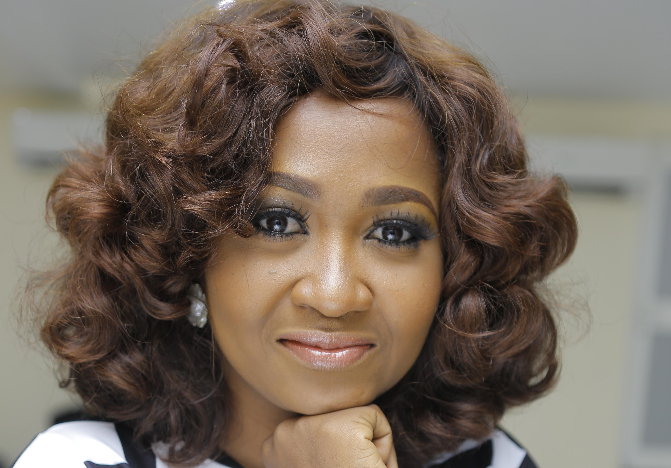 Mary Njoku is a Nollywood actress, producer and head of ROK Studios. Since its launch in 2013, ROK has produced over 150 films and 13 original television series. In 2016, Mary, who’s married to Iroko TV’s Jason Njoku, launched two Nollywood TV channels in the UK and on DStv. In a recent interview, she shared her aspirations for her production company, working in the same industry as her husband, and also spoke on what the future holds for Nollywood. The reaction from the fans. Before I take on a role, I have to make sure that the character is relatable. If a character I’ve portrayed has entertained someone, or I’ve managed to bring them on a journey, then I’ve done my job as an actress. I love being able to tell a story, no matter how complicated it may seem. How does it feel being married to someone in the industry? It is nice to have someone who understands what it’s like to be in the industry. Acting is no joke, it requires a lot of sacrifice – it can be very intense. As an actress and CEO of Rok Studios, I play many key roles and that requires long hours, but my husband understands the industry very well, so he is supportive and understanding and encourages me to follow my dreams. You husband plays a key role in the industry, would you say that has influenced your recent success in any way? I think it would be more appropriate to say that we influence each other; we are a team. We also work on very different areas of the company. My focus is predominantly on the creative and production side of things. We have different skillsets and we complement each other’s work; we are a true partnership, and I’m very grateful to be able to build a company with my husband right by my side. What made you start Rok Studios? I’ve always wanted to be a storyteller; to spread the gospel of Nollywood, so to speak. I remember when I was starting to consider a move to behind the camera, a prominent Nollywood actor told me that my aspirations were too high. I was really shocked and went home and cried my eyes out because he didn’t believe I could make the transition from actress to producer. But I had self-belief – I persevered and got stuck into my first production, which was Festac Town. It was an epic project that I threw every last bit of energy into. It was not without its challenges and pitfalls, however, the end result received really amazing adoration from our fans, and that was really what kept me going to build Rok Studios to what it is today. Having started off as an actress, how does it feel to be on the other side of the camera? It’s a dream come true! I’ve always been fascinated with the production side of filmmaking. I started acting at the age of 17, and have been working in the industry ever since. I still act and have produced so many TV series and films now, so I think this puts me in the unique position of being able to assess the situation from both sides. I think that being a producer adds additional pressure to the task at hand, as you are hyper aware to budgetary issues, logistics and every aspect of putting together a full-length feature, whereas when you’re just acting, I guess you can focus 100% on just acting. Naturally, it is a little scary moving out of your comfort zone and going behind the camera and learning new skills, but I really relished the transition. Rok Studios has now produced over 150 movies and we just released our 13th series, ‘Single Ladies’, which is a real feat in just over three years. So whilst I am confronted with new challenges each day, I do not regret the move at all. It has given me a new lease of life and unleashed a whole new creative side of me. What are the short and long term goals of ROK TV? 2016 was a very busy year for us. We took Rok to the small screen not just across Africa on DStv 168, but also to the UK on Sky channel 344. Right now, we are working on curating more content that portrays our culture. We will be looking at period dramas that date back to the 18th century and of course, we’ll continue to make more original TV series, as our fans have really appreciated the great strides we’re making in developing character-led episodes that they can really get into and follow the characters. Also, we want to start producing content that reflects the whole of Nigeria. There are over 500 languages spoken in our country. We’ll be starting off with languages such as Hausa, Igbo, Yoruba, Calabar and Edo, to name a few. The ultimate goal is to take Rok and Nollywood around the world – online, on TV and on airlines. We’ve conquered Africa and the UK. There are plenty more countries that we will be looking to take Rok channels too. Watch this space. What would you attribute your love of the movie industry to? I just love telling relatable stories with compelling characters. I love telling African stories. The creative process of bringing a script onto the screen is really addictive – I love being able to bring characters to life, and entertaining millions of people. I think people go to the movies for escapism – I know I do. I love getting lost in a story. Do you think Nigerian producers should release the DVD of their movies after it stops showing in cinemas? Yes, I do. Don’t forget that only a small percentage of Nollywood films actually get to the cinema, and even those that do, not everyone is able to see them on the big screen. There are many ways people can consume Nollywood content, such as DVD, cinema, online and on TV. As long as the content is original and not pirated, people should have a choice about how they want to watch their favourite Nollywood movies. It’s my role to make sure that the content is really great and that there’s plenty of different, legal platforms, where you can watch it. With what you have achieved with Rok Studios, would you say you’re closer to actualising your dreams? When I look back at yesterday, all I can do is be proud of my accomplishments. I want to be the best and that means that my dreams and vision for Rok Studios has to grow bigger. To achieve great feats, you have to continuously learn new skills and I apply those learnings and ideas into the new content that I produce. As I grow in the industry, my dreams grow as well. I wonder if anyone can actually sit still and say, ‘yes, I have achieved my dream’. Most creative or successful people just keep building bigger dreams so that they continue to have something to chase. Would you encourage your children to go into acting? In Africa, people want their children to take on a conservative career path. They encourage their children to be doctors and lawyers; a ‘proper’ career. My mom was different, she encouraged me to be who I wanted to be. I knew I wanted to act from a young age, so she didn’t stand in the way of my dreams. I will always encourage my children when it comes to achieving their dreams. As long as they work hard and throw all their energy and passion behind what they are doing, they will become successful. The old and new Nollywood debate has been raging for a minute. What’s your take on it? I don’t think that the old and new Nollywood debate should still be something people should be talking about. I just know Nollywood. It isn’t a static entity. There is a market for those who love the traditional village movies, there’s a market that loves the newer, more modern, city-based storylines, following young Afropolitans. Our audience and the industry is expansive enough to fulfil the needs of both. What does the Nigerian film industry need to get to the next level? The Nigerian film industry has improved a lot over the last twenty years and to be frank, it is going in the right direction. I believe that filmmakers, producers, and actors should continue to keep the fans in mind. Every time we start a new project, whether it is a movie or a TV series, we ask ourselves ‘will the fans enjoy this?’. For me, the fans are the ones who dictate the tempo of Nollywood and this is why I speak to our viewers frequently – they are the ones who are core to the industry. Without their support, then what is Nollywood? Singer Beyonce just gave birth to a boy and a girl, according to MediaTakeOut. Lol.